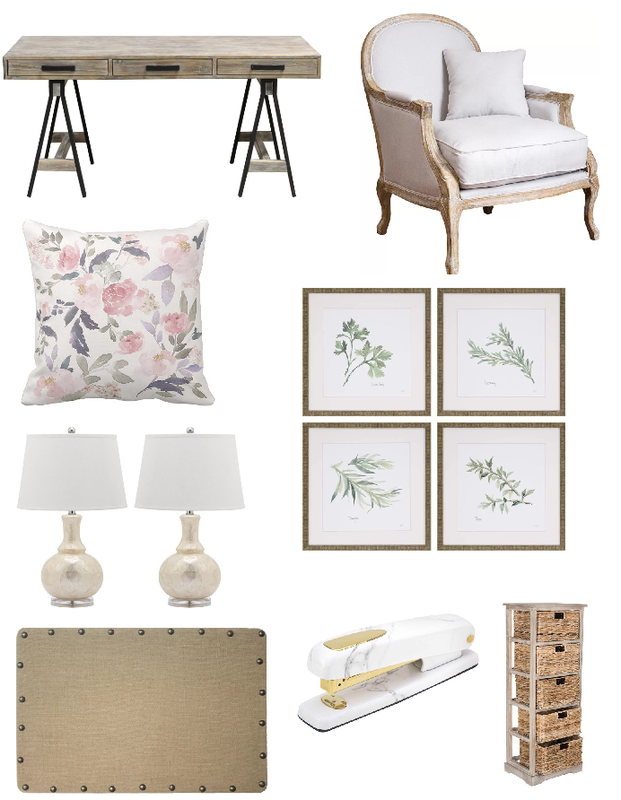 Rosy Outlook: Home Office Inspo! Happy Friday loves! Hope you had a great week and have some fun weekend plans ahead. I am grabbing lunch with friends tomorrow but the rest of the weekend will probably be spent packing and cleaning out the house! We're really trying our best to condense everything to bring to Boston. As I mentioned in my post about our Boston move, I am SO fortunate that I get to stay on board with my current company in my current role. This means I will be working 100% from home so with that, our second bedroom will be half a guest room and half an office. We have an office now but we hardly use it and our desk is practically falling apart so that won't be coming with us to Boston! I saw this desk and absolutely LOVE it then started finding pieces that I thought would look cute but would also be super functional for my job at home. Once again, super sweet tastes. You’ll have so much fun decorating your new Boston digs! These picks are super cute. I love the floral pillow. what fun items! super cute! Cute picks dear. That rustic desk looks really good. Loving the storage boxes too. These are gorgeous pieces! Great inspo!